“If the suspension (of sanctions) is not continued it’s a violation of the [Iran nuclear deal] and the Islamic Republic of Iran will, of course, take the necessary actions,” Atomic Energy Organization of Iran spokesman Behrouz Kamalvandi told state TV, as quoted by Reuters. US President Donald Trump has until mid-January to decide whether sanctions will be re-imposed. The suspension is part of the landmark deal agreed between Iran and six world powers under Barack Obama’s administration, which saw an easing of sanctions in exchange for Iran’s curbing of its nuclear program. Trump has called the nuclear agreement the “worst deal ever negotiated,” and has stressed that he could cancel US participation in it “at any time.” He refused to certify Tehran’s compliance with the deal in October. Kamalvandi’s remarks come just two days after the head of Iran’s atomic energy agency stated that Tehran may reconsider its cooperation in the nuclear agreement if the US fails to respect its commitment to the deal. 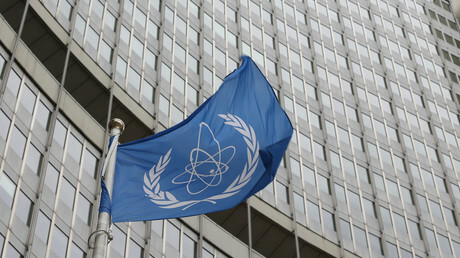 “If the US does not meet its commitment in the JCPOA (Joint Comprehensive Plan of Action), the Islamic Republic of Iran would take decisions that might affect its current cooperation with the International Atomic Energy Agency (IAEA),” Ali Akbar Salehi said during a Monday phone call with IAEA general director Yukiya Amano.